Members of the cast are pictured in this still from The Grizzlies. Miranda de Pencier will tell you right off the top that she didn’t really have any idea what she was getting into, back in July, 2009, when she flew into the hamlet of Kugluktuk, Nunavut, to begin development on a movie about a high-school lacrosse program that had transformed the community and arrested an epidemic of teen suicides. Yes, she’d seen a feel-good news story about the program, which was started by a teacher from Saskatchewan, on the U.S. sports cable channel ESPN; it spoke to her. But, c’mon: She’d never been to the Arctic, had never even meet an Inuk. “I was making a genre sports film!” she explained the other day with a self-mocking shake of her head, sitting in a bar on the Danforth in Toronto. Fair enough. 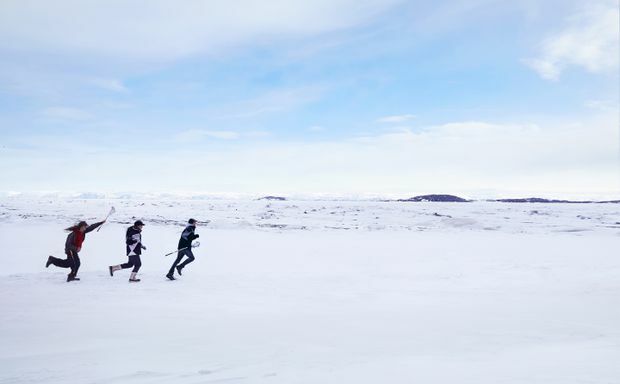 But if they eventually saw eye to eye, together with the producer, Stacey Aglok MacDonald, who grew up in Kugluktuk and is now based in Iqaluit, the women would struggle through an epic 10-year-long journey of false starts and near disaster. Working with teens from across the Arctic, they would unwittingly trigger long-buried traumas. With a non-Indigenous director and two non-Indigenous writers on the project, they would run headlong into the explosive issue of appropriation. And yet, in the end, they would also manage to produce that rarest of creatures: a Canadian feature film with broad audience appeal that may also be, both on-screen – and, most profoundly, in its behind-the-scenes development and execution – a model of white-Indigenous reconciliation. None of which was on de Pencier’s mind when a fellow Hollywood producer sent her that ESPN report. 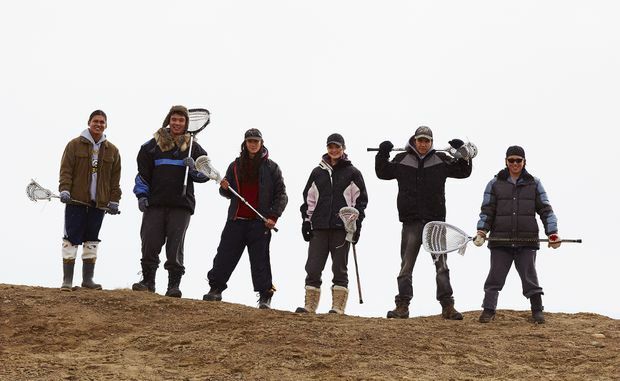 Made in 2004, it told the story of what happened after the newly minted teacher Russ Sheppard arrived in Kugluktuk (pop. 1,151) to work at the local high school, and was stunned by a series of teen suicides. 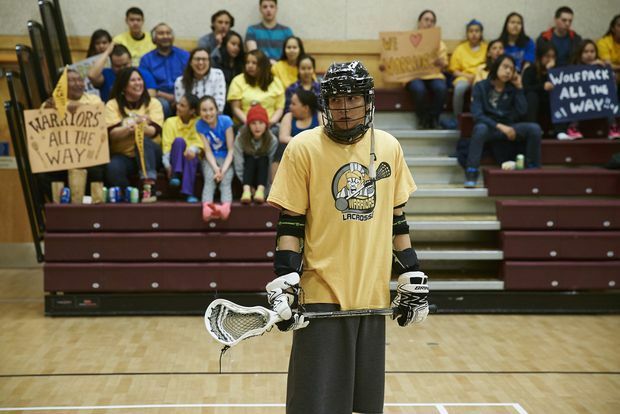 He created a lacrosse program in hopes that it might give his students a sense of belonging and purpose. According to the ESPN story, 4½ years after the creation of Team Grizzly, there hadn’t been a single teen suicide in the village. “I always get really inspired by films about people overcoming challenges, people transforming and changing,” she explained last month, sitting in the offices of her Toronto company, Northwood Entertainment. On the sound stages one floor below, Northwood’s Anne of Green Gables reboot, Anne With an E (a show, that is, about a young girl transforming and changing) had begun shooting its third season. A small army of workers buzzed just outside her door; inside, cardboard filing boxes marked “The Inspiring Grizzlies, Inc.” were jammed up against her desk. The film focuses on a high-school lacrosse program that had transformed the community and arrested an epidemic of teen suicides. De Pencier realized that, while she had battled depression, the Kugluktuk teens had faced challenges “so far beyond the scope of my issues. And immediately then, I thought, Well, this is a way bigger and more important story, of kids who are overcoming a legacy of colonialism. 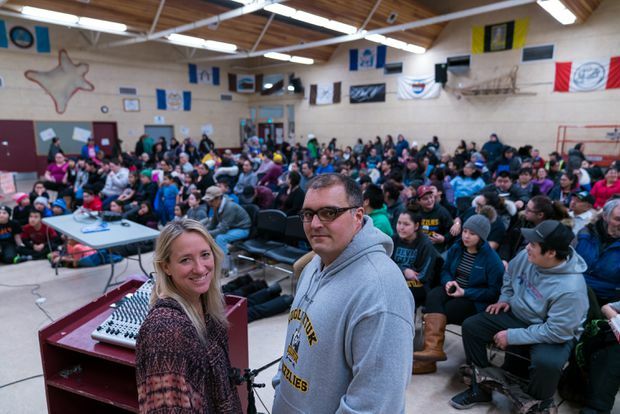 They are going to be the generation that begins to heal.” One by one, the original Grizzlies signed over their life rights to de Pencier, telling her they trusted her, that they hoped a film of their story might help prevent Kugluktuk from backsliding, and also inspire other Inuit communities to make the same positive changes. Enthralled by this vision of the kids finding strength in each other, de Pencier incorporated a similar episode into The Grizzlies, with the kids taking their fate into their own hands. Still, the moment unnerved her: Many of the kids at the workshop were re-experiencing trauma, and like Russ Sheppard in the film, she was not equipped to treat what she had stirred up. “I was in way over my head,” she admitted. There were no mental-health professionals on hand. She vowed not to repeat the mistake. It would be years before she would get the chance, anyway, because funding for the film fell apart shortly after the workshop. Graham Yost, the Canadian-born screenwriter (Speed) who had done the first drafts of the screenplay and was set to direct, left the project to become the showrunner on the FX cable channel’s Justified. Miranda de Pencier and her partners held showings of the film for Inuit communities, including three screenings in Kugluktuk, Nunavut. “To his credit, the real-life Russ, he always says he didn’t go up there and save these kids,” she continued. “They taught him. He was saying that to Miranda and Graham Yost from the beginning. I think it was hard to sink in. We had to really do the homework of explaining what the whole ‘white saviour’ thing is, and how problematic it is. And so, even as she continued with her Hollywood career – producing, among other projects, the 2010 late-in-life coming-out film Beginners, which won Christopher Plummer an Oscar – she remained intent on proving her commitment to the North. She wrote and directed the 18-minute short Throat Song, produced by her and Aglok MacDonald, about a young Iqaluit woman who works for the Department of Justice, helping people report their own sexual assault, but is powerless in her own abusive relationship. The film won a Canadian Screen Award. 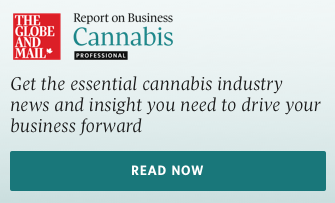 Making the short helped convince de Pencier – and her Hollywood partners, including the legendary Frank Marshall, who serves as an executive producer – that she was ready to shoot a feature. She brought on another writer, Moira Walley-Beckett (Breaking Bad), who later would go on to create the Anne reboot with de Pencier, and in the spring of 2016 The Grizzlies finally went before the cameras in Iqaluit, with a crew that was one-third Inuit or Indigenous. U.S. actor Ben Schnetzer stars as Russ, fronting a cast that is more than 90-per-cent Inuit or Indigenous, including Paul Nutarariaq and Anna Lambe, who were both nominated for this year’s Canadian Screen Awards for playing two of the troubled students. The Grizzlies opens in many cities across (southern) Canada on April 19, and expands on April 26. They also modified Schnetzer’s performance in postproduction, toning down his initial cluelessness, which came off more aggressively on screen than it had on the page. Test audiences, especially in the South, were uncomfortable with his ignorance. Over the past month, de Pencier has travelled extensively with the film, taking it with her fellow producers to cheering audiences across Nunavut and then, on her own, down to Mexico City, where she was peppered with questions by journalists who she said were eager to bring its positive message to that country’s Indigenous population. When de Pencier and I met after she’d gotten back from the first series of screenings in Nunavut, her thoughts were a little jumbled. She needed time to figure out what she wanted to say: She was overwhelmed by the way the movie, which had begun as a kind of Inuit Bad News Bears, was already beginning to affect the conversation in this country. And so she asked to meet again. At the bar on the Danforth, she opened up her laptop. After we had last talked, she’d gone home and dictated into her phone for a few hours, to try to express her thoughts concisely. I asked her about the film as a model for living reconciliation. She laughed a little, and said that she’d never even used that phrase until last year. She turned to her laptop and began to read.